Samuel W Meekins Jr - Virginia - Book a consultation instantly! 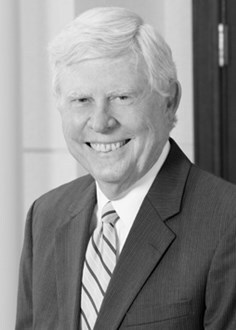 Samuel W. Meekins Jr. has spent his private practice career with Wolcott Rivers Gates. During that time he has been principally involved in litigation, both criminal and civil in federal and state courts. 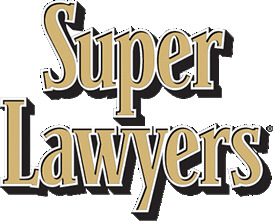 He has been selected as a “Legal Elite for civil litigation”, as a Virginia Super Lawyer, as a Top Attorney in Virginia and Hampton Roads and as an “AV” attorney by Martindale Hubbell. Mr. Meekins was also honored by the Virginia Beach Bar Association with the Joseph L. Lyle, Jr. Professionalism Award. Mr. Meekins has served his country as a decorated Viet Nam War veteran. 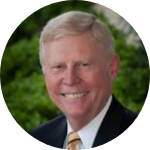 He has served his community as Chairman of the Virginia Beach City School Board, President of the Virginia Beach Central Business District Association, and Campaign Chairman for the American Heart Association, Tidewater Chapter. He has served his profession as Chairman of the Virginia State Bar Litigation Section, and Vice-President of the Virginia State Bar Senior Lawyer’s Conference. He has served his firm as a President, Vice President, as a member of its Management Committee and as a mentor to younger lawyers. He is a husband of 40+ years with four now grown children and an ever increasing number of grandchildren.